Monki Hide & Seek: Fun With Animals is an adventure kids will love. During their interaction they will be scrolling and zooming in to find the hidden characters! Kids play with Lisa and help to find all of the animal friends. There are three colorful lands to choose from. Kids can pinch and zoom to change the view. Play is ongoing as the animals change their hiding places along with changing scenery.. Little ones can tap on the fruits and begin learning their names. The interaction is easy and flowing, making it fun for all tots! 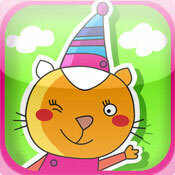 This is an adorable app that is sure to provide lots of fun times and giggles for kids. This app is presented to us by Monkimun SL. Parents will love that the app is ad free and in app free! Hide & Seek In the Snow on Farm! Hide & Seek In the Forest! To bridge language learning and entertainment, in a unique and fun experience. The design of the app: easy to use and understand and visually pleasing to catch toddler’s eye. The game is coached by the narrator on simple vocabulary words corresponding to whatever they touch, providing reinforcement to children who are learning to speak while they play the well-known game “hide & seek”. 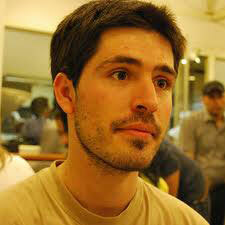 Monkimun is a new game studio that designs fun language educational games for kids in a safe way. A new game will be out soon for kids to continue having fun while enhancing their language skills.